Each Wednesday we’ll answer the ongoing question: “What do I wear with these?” It’s a question we get quite often here at the shop and we love giving suggestions when helping our customers. This week we feature the Moma 12407 Monkstrap for men. 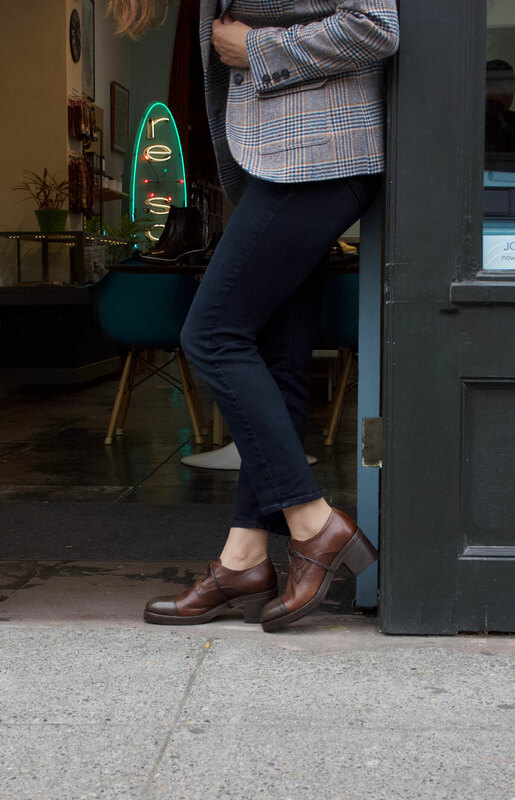 The hottest style for guys this Spring is the monkstrap shoe. We thought we would show you two ways to wear them, dressy and casual. The nice thing about this MOMA style is that you can easily dress it up or down. Treat them as you would an oxford. Wear it with a spring suit for the office on the weekdays and then for the weekends wear them with jeans and a pullover sweater. We love the “no socks” look. Come on, you can totally pull this off! > Alessi “Luna” stainless wrist-watch.